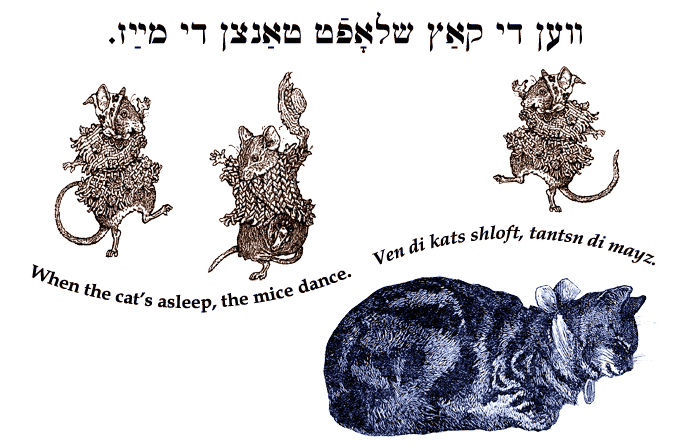 Yiddish Wit: When the cat's asleep, the mice dance. ‏װען די קאַץ שלאָפֿט, טאַנצן די מײַז. Ven di kats shloft, tantsn di mayz. When the cat's asleep, the mice dance. SOURCE: Kogos, 1001 Yiddish Proverbs.